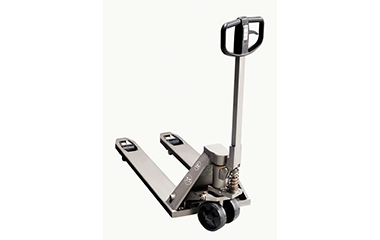 The BT Lifter range of hand pallet trucks are customisable, making them suitable for a broad range of material handling applications, including horizontal transport, order picking, loading / unloading and stacking. Designed for ease of use, our long-lasting trucks allow for the safe and efficient movement of goods with very little effort. 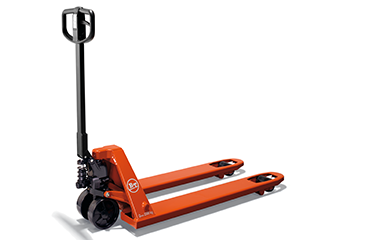 Suitable for horizontal pallet transport and order picking, the low lifting hand pallet trucks in the BT Lifter L-series offer a load capacity of up to 3 tonnes. Intended for use in corrosive environments and applications that demand a high standard of hygiene, such as food processing or pharmaceuticals, the BT Stainless Lifter LHM200ST has a durable high-grade stainless steel structure to prevent corrosion. A reliable alternative to the Stainless Lifter is the BT Lifter Galvanized LHM230G model with stainless steel axles and galvanized chassis and pump. 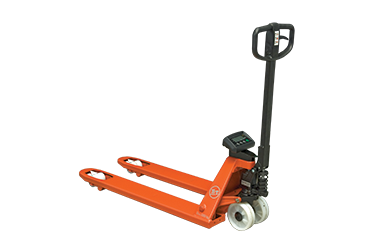 The LHM200SC pallet truck in the BT Lifter L-series is equipped with a scale to provide high-accuracy weighing during the material handling process. 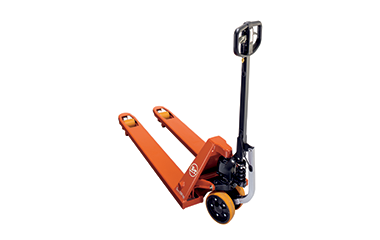 With a load capacity of 2 tonnes, this flexible, low lifting hand pallet truck saves time and effort, allowing operators to weigh pallets and containers during loading and transport for maximum efficiency. For applications in which an estimate of the load weight is suitable, the L-series offers the LHM230WI with weight indicator. 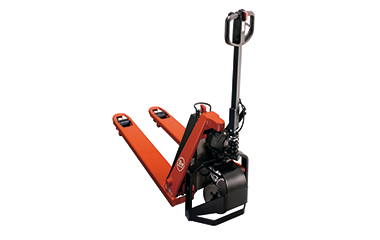 Designed to increase productivity when handling heavy loads, the innovative and unique BT Pro Lifter model LHM230P requires up to 67% less force than a standard hand pallet truck to begin moving. Highly ergonomic, this low lifting truck offers comfortable steering handle, easy positioning and smooth driving on rough, uneven surfaces. Thanks to the LHM230P, the goods are moved with minimum effort, securing maximum efficiency, ease of use and driver comfort. Like the LHM230P, the BT Pro Lifter, LHT100 is designed to work with minimal starting force for increased productivity during horizontal transport and loading operations. 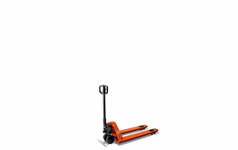 Featuring an electric drive motor, this versatile hand pallet truck provides powered movement in either direction for nearly effort-free travel. Automatic parking brake, electronic speed control and braking system provide enhanced driver safety and also contribute to the BT Pro Lifter’s long operating life and low lifetime cost.